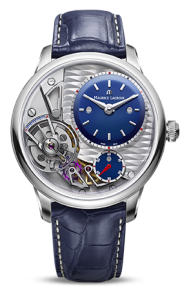 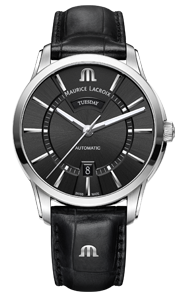 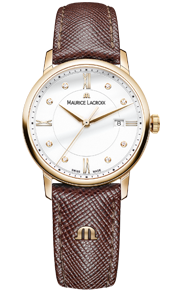 The Eliros has proved to be a popular collection within the Maurice Lacroix catalogue. 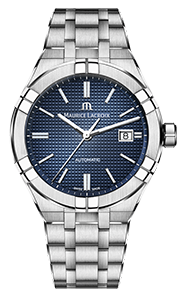 The aesthetics of all models embrace style and playful design with a notable freshness. 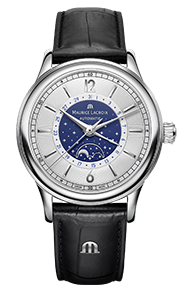 The Eliros Ladies 35mm is offered for the first time with a moonphase display. 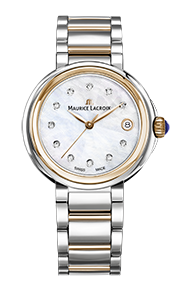 This elegant complication is paired with an array of dial and case options, fulfilling the expectations of stylish ladies everywhere.